Eating Healthy Doesn’t Have to Be Boring. Learn to Make Healthy Desserts at Home with the Help of Professional Chefs. If you’re anything like me, you’re excited about your healthy lifestyle, and you want to share it. But not everyone seems to share your excitement. Whether you’re new to raw food, or you’ve been doing it a while, wanting to have your family and friends share in your lifestyle a little feels really important. PLUS, mealtimes are a shared experience. It’s where we come together and share food, talk about our day and strengthen those family connections. You’re at home with your family and maybe you managed to get some veggies into the kids without them complaining too much. Fine. But then for dessert, you’ve created a wow experience that you can all share in. The kids can’t wait to get a piece, your partner is eager to get a big piece too, and it feels like the perfect end to a family meal. Not only that, you feel so good because you know every single ingredient that went into that cake, and they’re all the highest quality, no preservatives, fresh, healthy ingredients that aren’t going to trigger any allergies, or upset any tummies. Just like the cakes, you know these cookies are very different from store bought cookies; they’re only made with the healthiest ingredients, so you feel really good about sending your kids to school with these in their lunchboxes, or taking them in the car for snacks on a daytrip. It can be challenging to find healthy store-bought desserts that meet all the criteria you’re looking for and still taste amazing. Generally speaking, you’ll be compromising on something important to you, whether that be the sweeteners, flours, preservatives or colourings used. The great thing about raw desserts is that they meet the vast majority of “diet” requirements, as they are free from refined sugars, gluten, dairy, yeast, wheat and they’re vegan (aside from the occasional use of honey). The Beauty of Raw Desserts? By making your own raw desserts, you are able to choose the very best ingredients to work with based on your desired taste and nutritional needs. No rogue ingredient will slip past you and you can rest assured that you’ll be eating something super fresh and full of goodness. If you’ve ever taken to making regular cooked desserts, you’ll know that it’s a science and not one that you can mess with without consequence, because everything is so specific. Raw desserts are very forgiving. They’re also easily adapted to suit your taste and any ingredients you don’t want in your diet. The alternative to making your own desserts is to have to scour specialist shops for ‘the closest thing’ to what you’re looking for. As you may have already found out, that’s a tricky task. It’s difficult to find a really delicious selection of pre made healthy desserts and, even if you do, you have to pay a hefty sum; they’re still not exactly what you’re looking for and you’re stuck with that small selection to choose from. When you’re able to make your own desserts, with exactly the ingredients you want, with a huge variety of tastes, textures and flavours, then you’ll feel like eating healthy treats without restriction has never been so much fun (and such good value). What’s to stop you making really good raw desserts? We’ve found there are three main things that stop people from making or enjoying really good raw desserts. Ideally you want to layer the freshness of fruit, the creaminess of young coconut (if using) and cultured cashews, and lighter cake and pastry crusts. That way you’ll create raw desserts that are a world away from the regular heavy and dense raw desserts you’ve probably tried before. One of the first things students notice and comment on about my desserts is that they are not too sweet. My focus is on the pairing of flavours and textures that excite the palate, without the reliance of sweeteners. The main sweeteners I use throughout the course are maple syrup, xylitol, coconut sugar and occasionally honey, all of which can be substituted. My recipes don’t use agave or rice syrup, because I believe them to be unhealthy in their fructose content. When you’re following raw desserts recipes from books, there’s too much that’s left out, which is better conveyed in video format. Learning by video is the first best option if you can’t see it being done in person, but even then it has benefits over a live class, because you can rewatch any section at any time. So imagine making a sauce or cake base that you’ve never made before. How do you know if it’s right before moving on, if you’re following a recipe from a book? In a video you can see exactly what it should look like, plus you’ll get extra tips and tricks as you’re being walked through the process. It’s designed to take you from beginner level, right through to fully understanding how to combine flavours, ingredients and textures, resulting in your own delightful raw desserts. Each module is comprised of recipe videos for you to follow to the letter, to build your confidence. Once you have that, you’ll be encouraged to mix and match ideas to make your own desserts. After completing the course, you’ll be able to impress your family and friends with your stunning desserts, all of which were made at home. Not only that, we offer a certificate of completion, so you can proudly display evidence of your raw dessert making skills, although let’s be honest, your desserts are all the evidence you need! 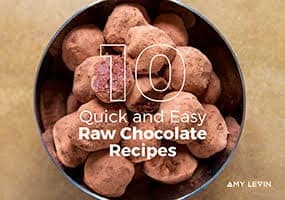 I’m a professional chef, a consultant to some of the most well known raw chocolate companies, and I’ve dedicated my career to raw chocolate and desserts. I am told frequently by people making my free weekly recipes that they always work: they not only look good but taste great too. As you’re going through the course you’ll find yourself having all of your questions answered by me as I walk you through the process on video. If you have any extra questions after watching each video, you’ll be able to ask it right there in the lesson, to be answered by myself or one of my trained Pastry Chef assistants. When you become a Raw Desserts student, you’ll have lifetime access to the course. It’s helpful to have a course that you can work through at your at your own pace and refer back to whenever needed. That way you don’t need to feel pressure about getting things completed by a certain date. My passion and down to earth teaching style… will guide you easily through the process! This module will give you flexibility in how you want to create and finish your desserts. For example, learning how to make the jams will mean that when you’re making Jam Tarts or Doughnuts later on in the course, you can customise them to your taste. Garnishes can make all the difference in the finishing of your raw desserts. So just as with the Creams, Sauces & Glazes module, you’ll be able to create an unlimited amount of variations and combinations of your own desserts with the recipes and methods for these candied nuts & garnishes. Instead of adding plain nuts from a bag for your garnishes, you’ll get a much more professional result by learning how to activate, flavour and candy your garnishes. So not only will they provide beautiful garnishes, but they’ll also provide texture and flavour options for inside your doughnuts, cookies, cakes and other desserts. With the Best Ever Cookie, you’ll get the potential for dozens of cookie flavours and textures in one base recipe. Amy has designed it so that you can take the base recipe, and the selection of ideas she’s started you out with, such as the Pecan Port Raisin, or the Almond Apricot, and build your own. Each of the remaining recipes in this module will give you a very specific texture to play with. So with the digestives, you’ll get an oat based light, crumbly biscuit. The Jammie Dodgers are a nut based recipe, giving more giving more a shortbread style biscuit. In this module you’ll also see the interaction with and application of other recipes in the course. For example, using the jam in the croissants and hamantaschen, or the chocolate ganache in the cannoli. In this module you’ll learn about the versatility of our signature soft and springy doughnut recipe, presented in such a way to allow you to not only make these 4 recipes, but combine your own ideas with the jams, sauces, creams and glazes learnt in earlier modules, to come up with your own recipes. You’ll learn how to set your cakes and slices apart from the ‘normal’ raw cakes you might have bought and tasted, by using fermentation to make a smooth and light buttercream icing. Typically raw cakes can be dense and heavy, due to relying on nuts. 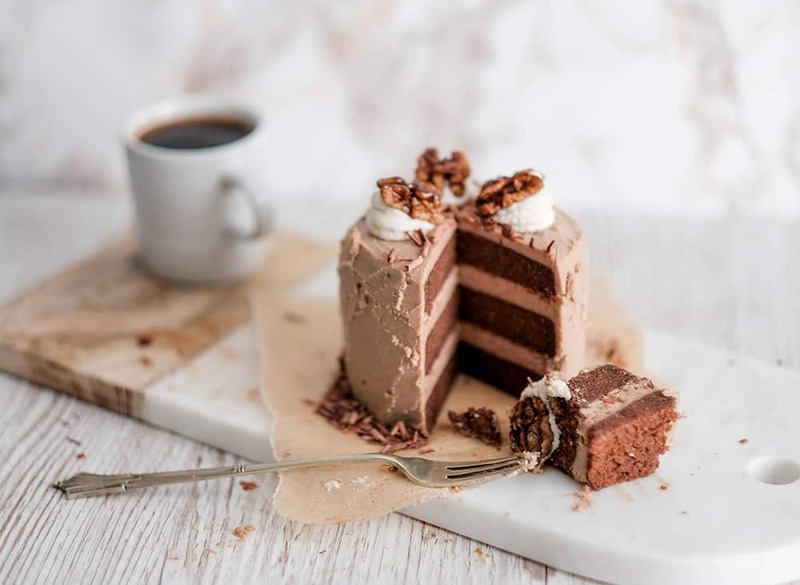 With this module you’ll learn how to use a variety ingredients and techniques to come up with lighter cakes that are truer to their cooked counterparts. We start this module with individual crust recipes, so you can pick and choose the desired effect you’d like for your pie or tart. We like to think of this section of the course as a ‘how to bake raw’ module, so that anyone from a beginner to a professional will learn cornerstone recipes to being a raw baker. If you don’t LOVE The Raw Desserts at Home course, we offer a 30 day prompt and courteous refund guarantee. 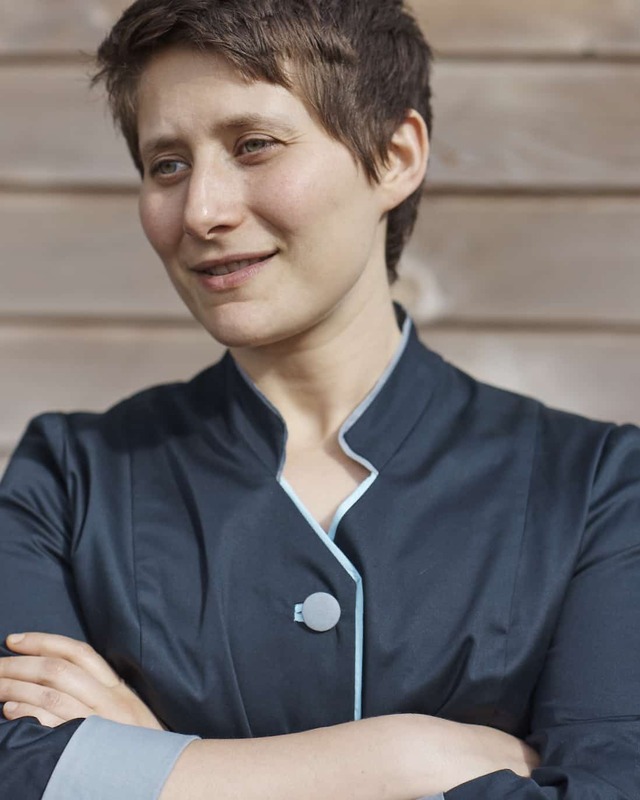 I’m a professional chef, a consultant to some of the most well known raw chocolate companies, and has dedicated her career to raw chocolate and desserts. As you get into these lessons, you’re going to see that in action, and just how easy and FUN it is to make delicious raw desserts at home. We’ve put a huge amount of time attention into this course to make sure that’s the way it is. So here’s my simple offer: If you don’t LOVE this course, just drop us an email within 30 days (you can reply to any of our emails and it will get to us, or write to [email protected]) for that prompt and courteous refund. So there’s no risk in trying us out if you’ve been thinking learning how to make raw desserts: Join the program and see for yourself.